“Star Wars: Battlefront” (2004) and Star Wars: Battlefront II (2005) are arguably two of the greatest “Star Wars” video games of all time. Not only that, but it can also be argued that they are two of the greatest multiplayer games of all time. It was inevitable that we would see this franchise resurface at some point. Not many fans thought it’d take a whole decade till we got there though. In May 2013 Electronic Arts acquired the exclusive rights to develop “Star Wars” games for gaming consoles. This occurred shortly after Disney acquired Lucasfilm. At the following E3 2013 press conference “Star Wars: Battlefront” (2015) was announced alongside a teaser trailer. The game is to be developed by DICE (Digital Illusions CE), a branch of EA commonly known for the “Battlefield” franchise. 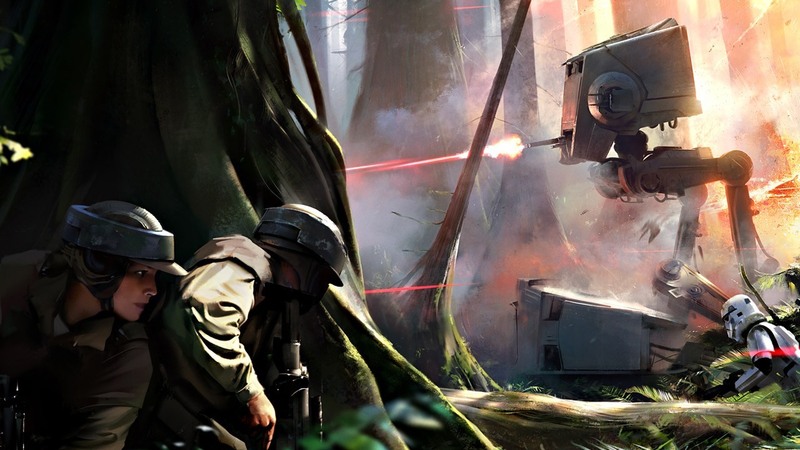 Studio head Patrick Soderlund stated that the game would be “DICE’s interpretation of what Battlefront should be”, while incorporating elements from the two previous games. “Star Wars: Battlefront” was branded a reboot as opposed to a sequel to the original franchise. Gameplay will be similar to the original titles. Where you can enter either first-person or third-person at any given moment. 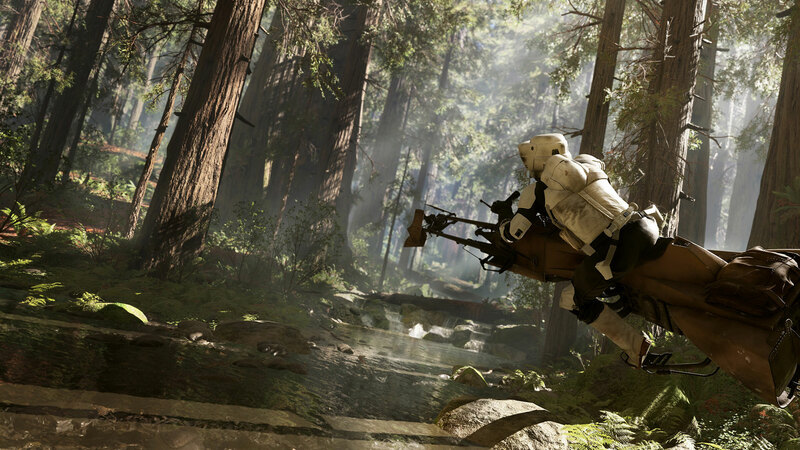 You will be able to explore familiar settings from the franchise such as Endor, Hoth, Tatooine, etc. The game will also have customizable weapons, characters, gear, and abilities. You will be able to choose a position as either a Rebel Alliance soldier or a Stormtrooper. The game will include cooperative missions which can be played offline. Unlike many games today, there will be split-screen functionality. The game’s online multiplayer mode will be able to support up to 40 players in one match with 12 multiplayer maps available at launch. Fans of the original were stoked when they saw the announcement at E3 in 2013. Some fans, however, have become resilient toward EA, a company that has become infamous for pushing downloadable content upon their customers. The game was previewed at Star Wars Celebration 2015 in Anaheim California. Gameplay details were revealed and a second trailer was released. They also announced the release date, later this year on November 17th. Likely to accompany the new film being released in December. EA also announced the first DLC of the game, which had fans rolling their eyes and saying “here we go again.” The first downloadable content will be titled “Battle of Jakku” and will be free to all players who own the game before the DLC’s release date on Decemeber 8th. Fans fell in love with the “Battlefront” franchise in the mid-2000s. So everyone is stoked at what this new game can be, but fans are cautious of what it might end up being. “Star Wars: Battlefront” has a lot of potential to be great, but it also has a lot of potential to disappoint. – Great source material to build on and make greater. – We all love the “Star Wars” universe, being a part of that is a bonus for the game. – EA backlash, with DLC already being announced when only two trailers exist. – Potentially a rushed release date. With only two trailers and 6 months to go, the game may be getting rushed out the door to be released alongside the new film.